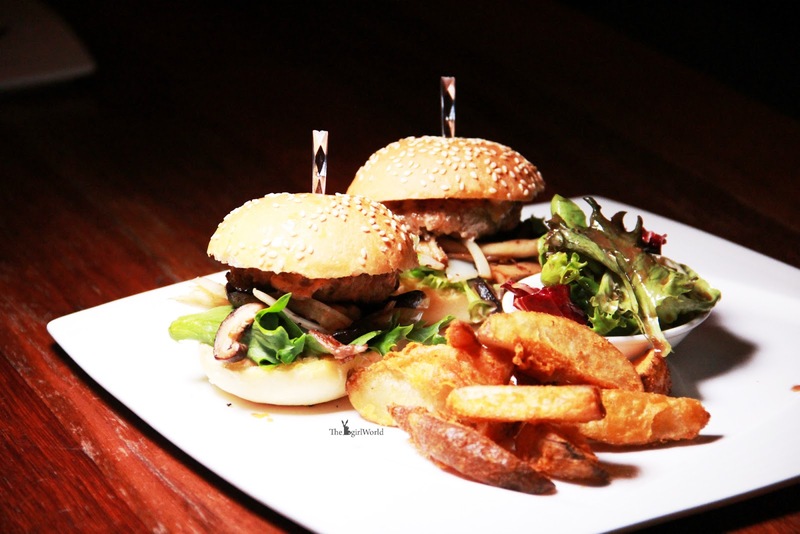 If you are pork lovers, The Eighth Avenue might be your choice if you are searching new restaurant to eat at Solaris Dutamas. 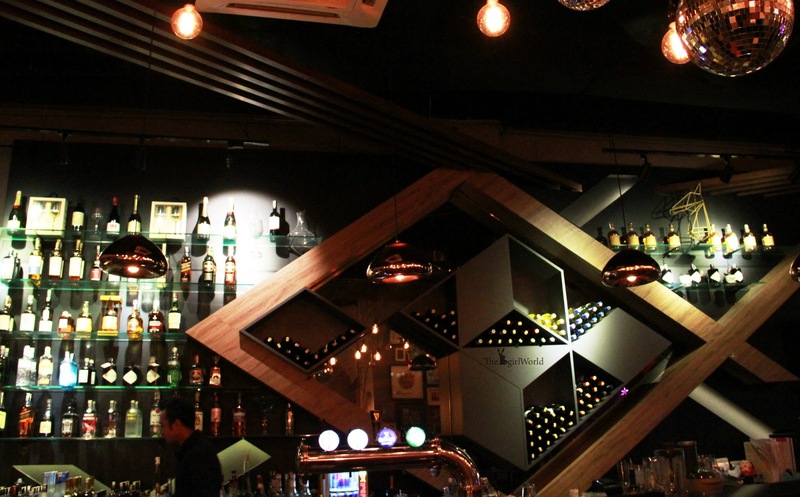 The Eighth Avenue offers a very appealing menu with a variety of non-halal pork dishes and alcohol, their prices of dishes are considered reasonable among those newer gastro pubs nearby, however there are a bit pricey for their alcohol menu. 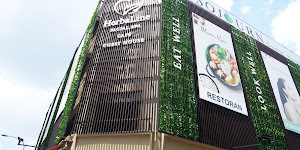 Outdoor dining is available, customer can enjoy the foods under breezeway which provides shade during day time. 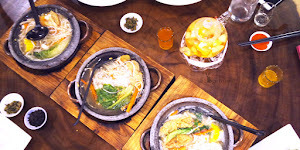 Let's began with my dinner which filled with pork goodness and alcohol! Minced pork, capsicum, red onions, cheese, homemade guac and sour cream served in Corn Taco shells. 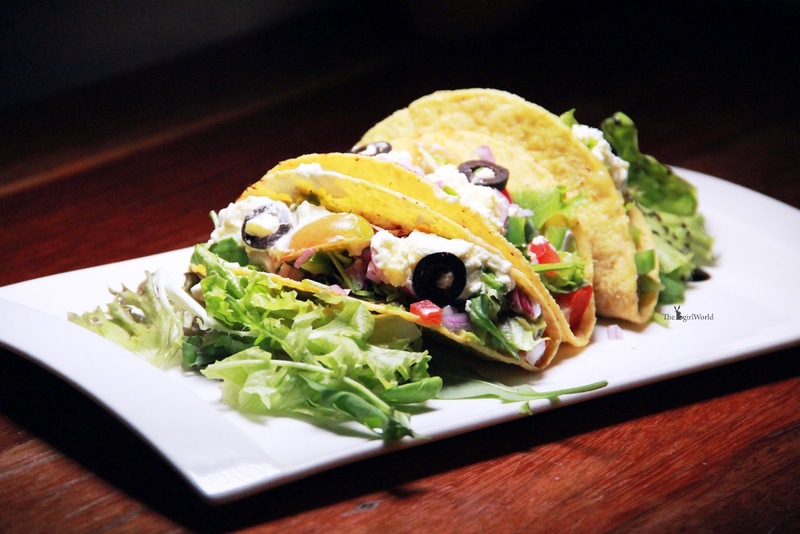 Inspired by Mexican dish, the corn taco shells is crunchy, with the healthy fillings making each bite of taco even more appetizing and flavourful. 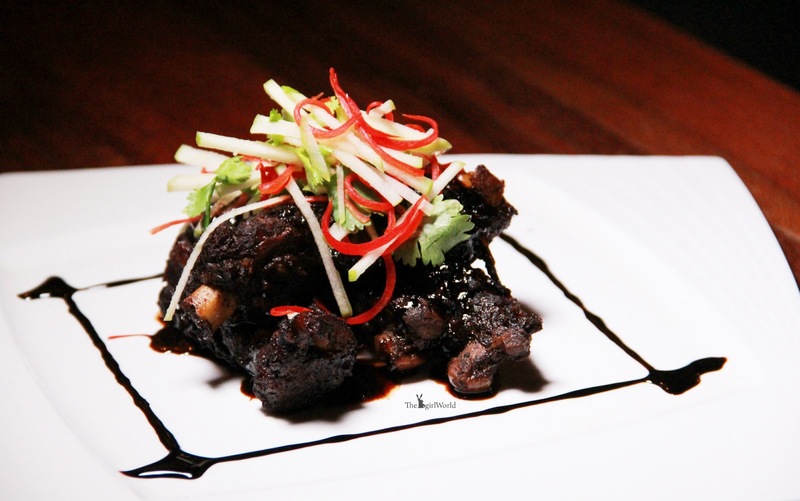 Pork ribs stewed, and the grilled to perfection with toppings of caramelised apple and sticky sauce. 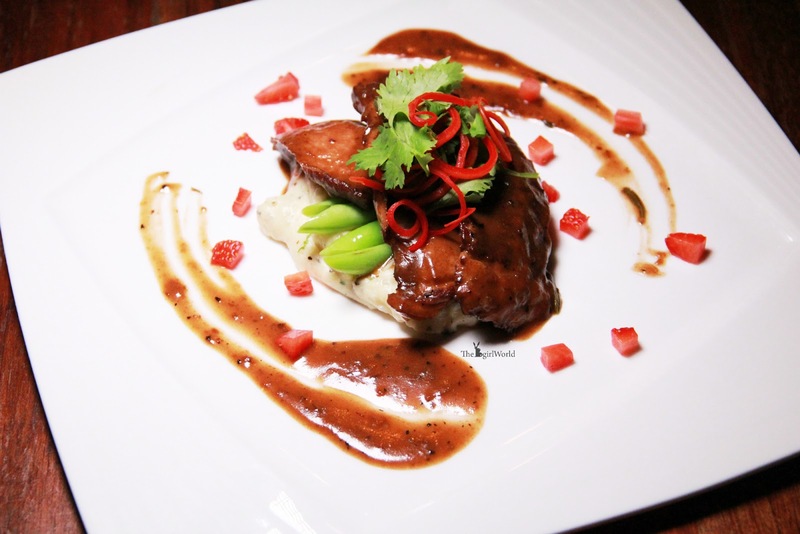 Succulent braised pork cheeks is meltingly tender, prepared in red wine and served with truffle potato mash and some berries aside. Classic potato mash just got fancy with the addition of truffle oil added to the recipe creating a decadent side dish, every mouthful is juicy and luscious. Homemade pork patty with caramelised onions, mushrooms and cocktail sauce. 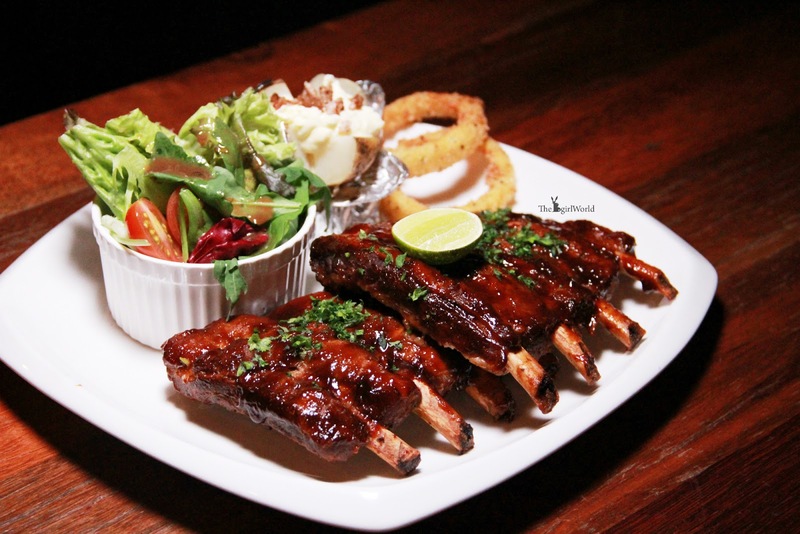 This is their signature and must-try dish, very tender, fall off the bone, deliciously ribs!! For super tender meat, marinated baby back ribs in 8 hours with beer and other secret ingredients. Roasted to perfection, alongside with jacket potato, onion rings and side of garden salad. 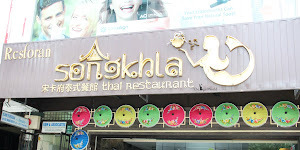 This is another highly recommended dish by them. 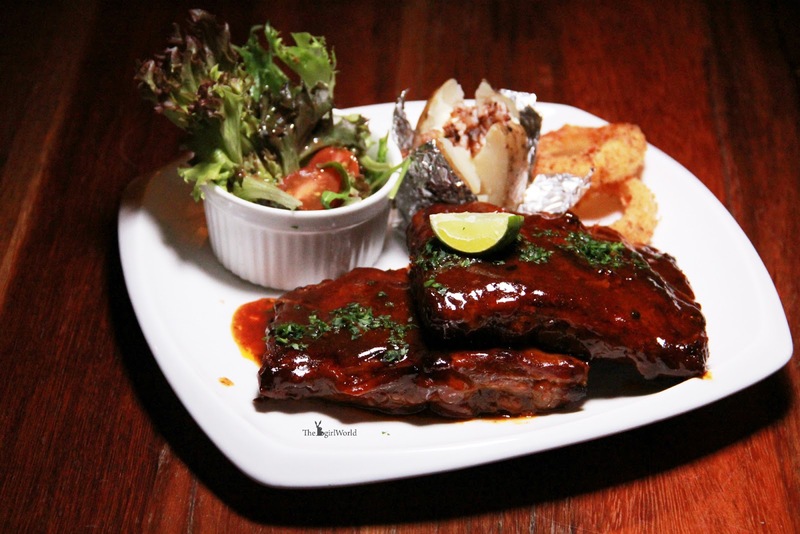 Braised the ribs in their very own BBQ sauce and served with jacket potato, onion rings and side of garden salad. Honey adds wonderful flavor to the homemade BBQ sauce, the ribs are packed with flavor. Such a cute name! 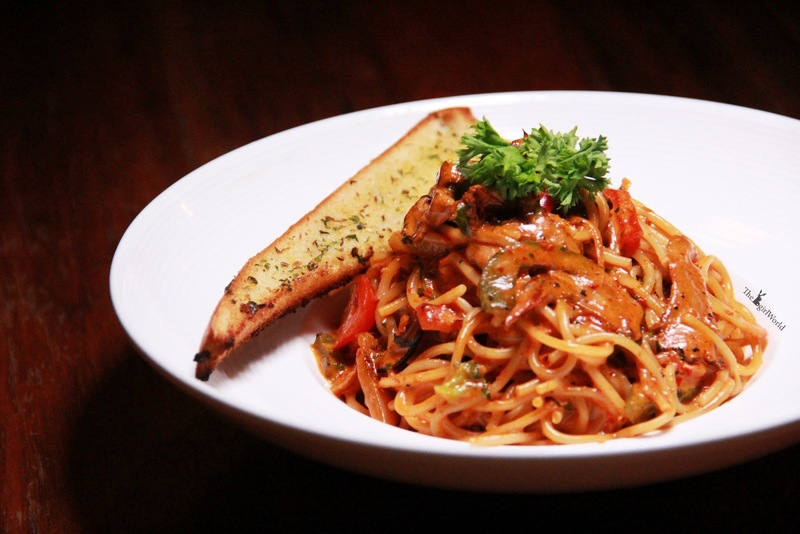 As the name implies, it is a Malaysian-inspired fusion style pasta. This pasta cooked in homemade sambal paste together with thin slices of pork, then tossed with pasta and a dose of cream. Pork slices particularly with pasta, and the kick of sambal just sets it off to perfection, love it! 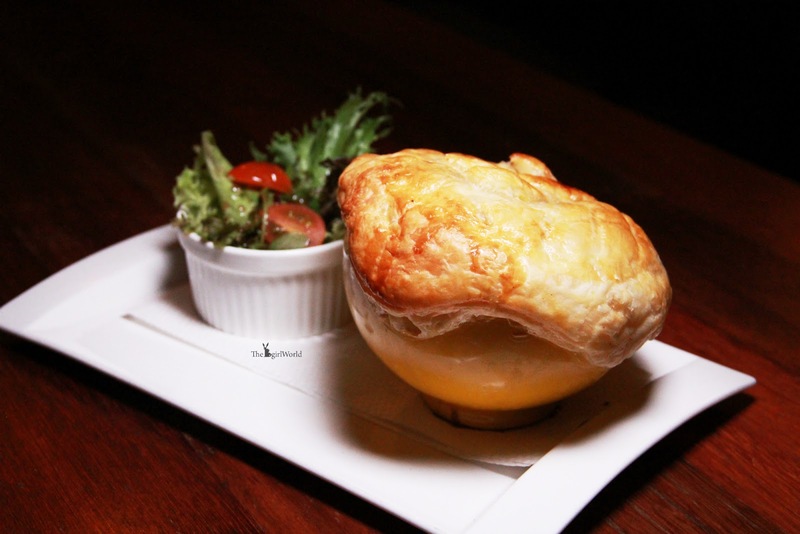 Chicken thigh cooked in cream with mushroom and vegetables, covered with puff pastry and baked till golden crispy brown, side of garden salad. Is there anything more perfect than pizza and beer? 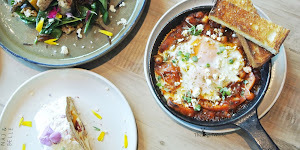 Come and try this Mexican inspired pizza! There are 2 options for you to choose either chicken or pork pizza. 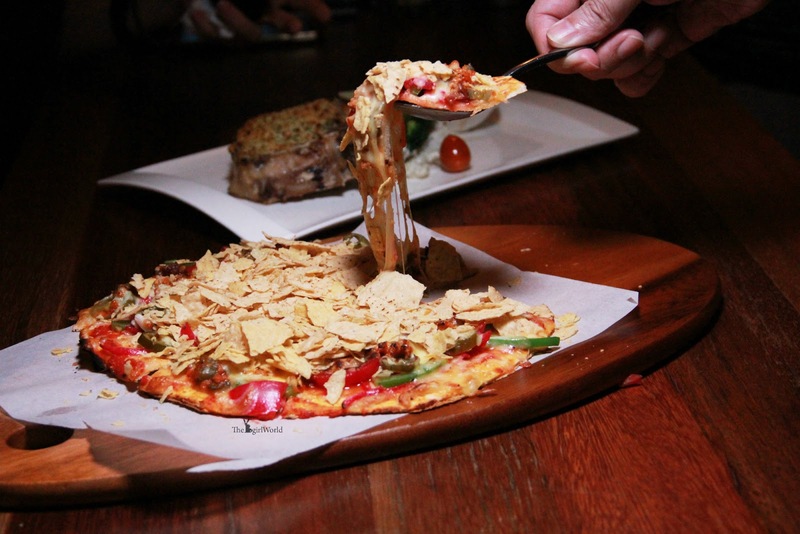 Crunchy thin crust packed with flavour of pork chilli, pickled onion, then topped with crushed nachos. Personally think there are too many nachos on top, makes the each bite too much crunchy. 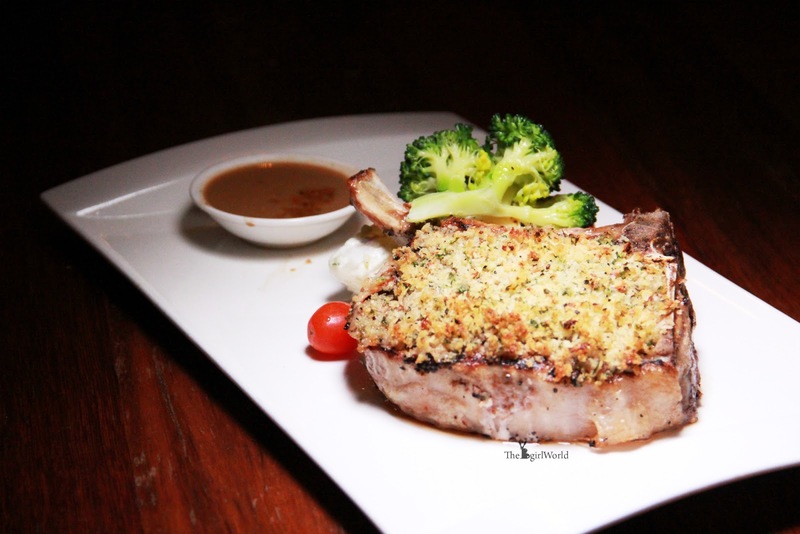 Grilled pork chop on the bone, tossed with fresh herbs rub to maximizing the flavour, served with old fashion potato. Too bad that it is slightly overcooked, kinda disappointed on its dry and rubbery meat texture. Hope they can make some improvement in the future. 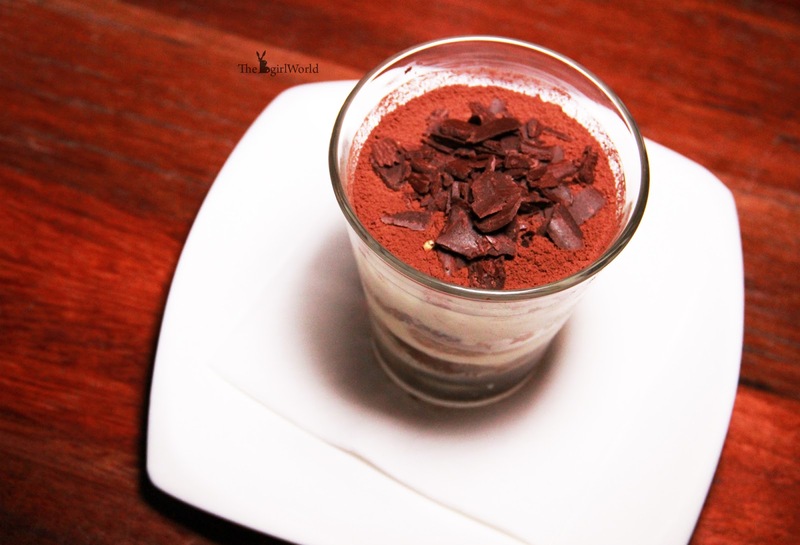 I'm not a huge sweet eater but i like this tiramisu with a pudding-like filling of mascarpone, sweetness is just right and with stronger expresso taste. 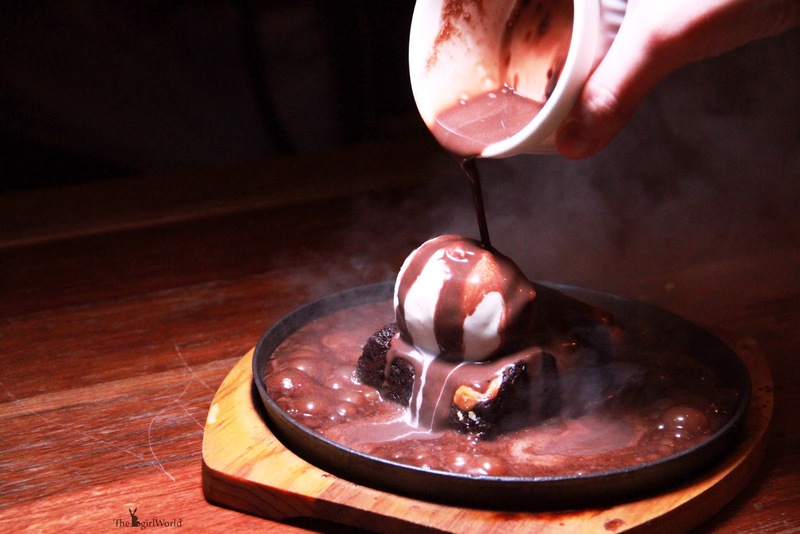 Warm delicious brownie, topped with smooth vanilla ice-cream and drizzled with sizzling rich chocolate sauce. 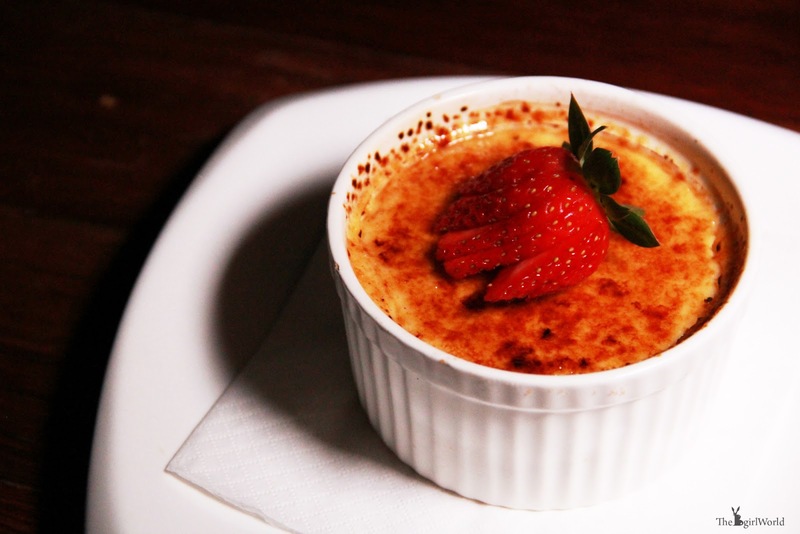 Definitely a delightful sensation in every bite! 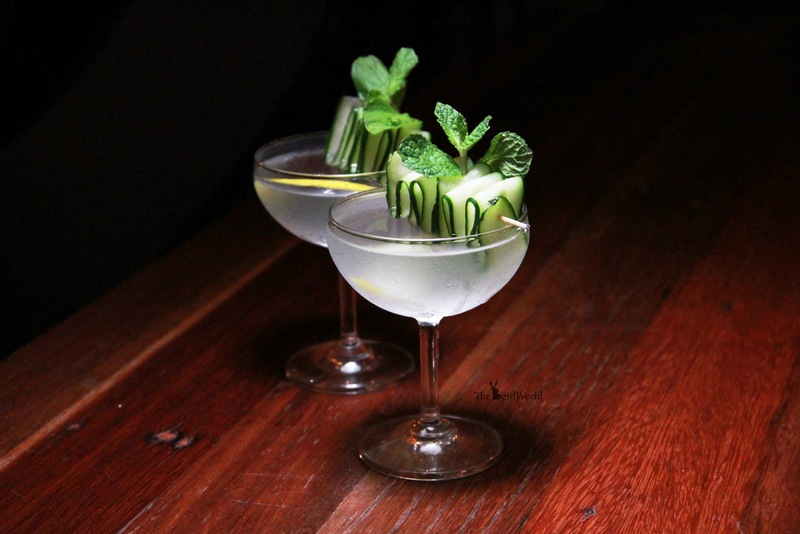 A mini series of Hendrick's Code (Eight Avenue Specialty) is their latest addition. 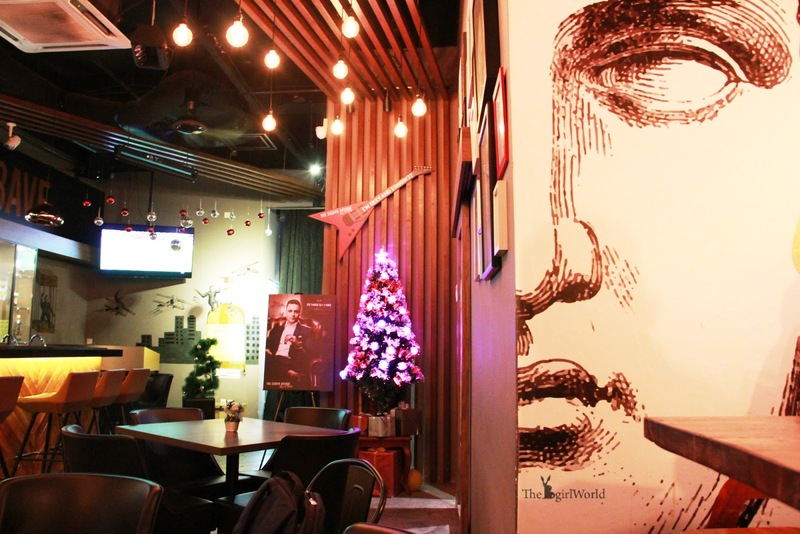 The owner of this restaurant, Mr. Raj only love to drink Gin, so he has sourced out some inspirational and come out with Hendrick’s Code menu that using Hendriks Gin as base and enhance flavour with fruits or vegetables. Best item in the menu, a refreshing combination of Hendrick’s gin, cucumber ribbon, lemon, mint and juicy pomegranate seeds. I prefer this one! 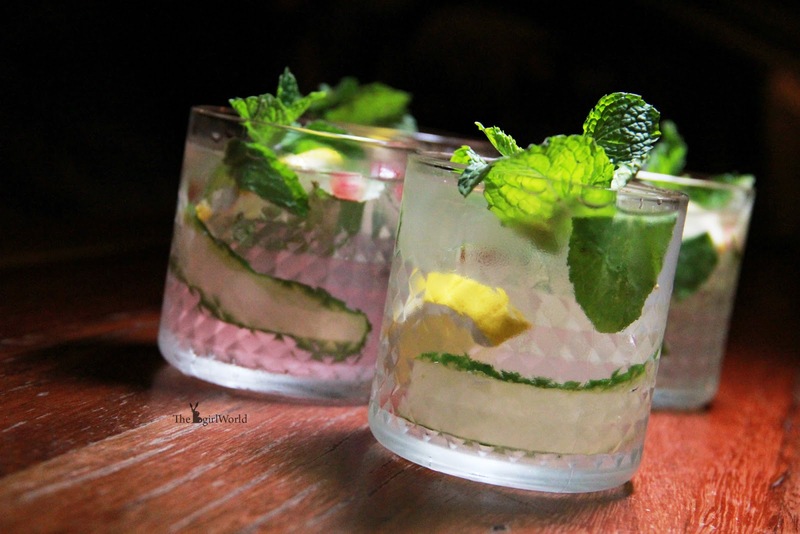 Hendrick’s gin with fresh cucumber, lime slices, soda water and a spring of mint. 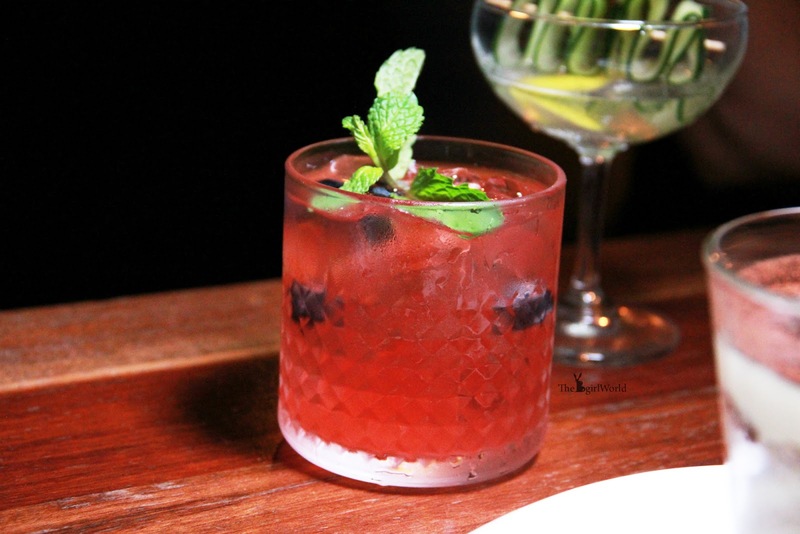 Hendrick’s gin with fresh blueberries, lemon and a splash of soda water. Hendrick’s gin with rose petals, lime slices and rosewater tonic. 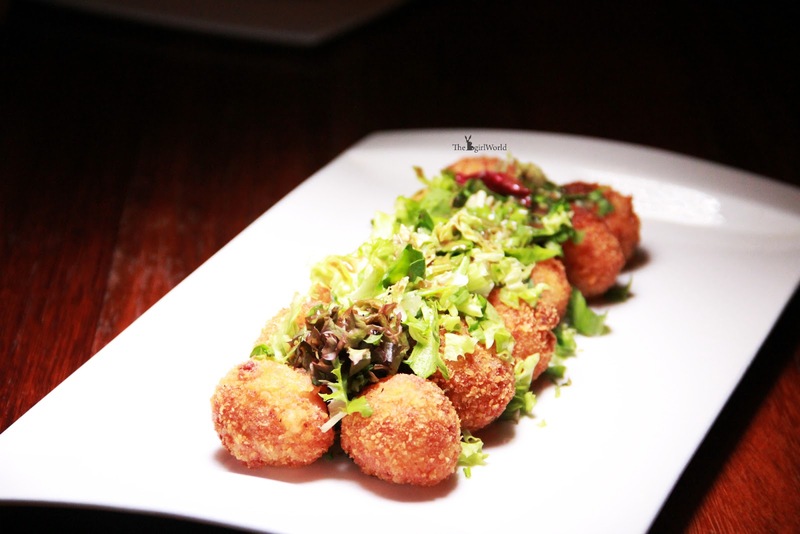 Overall, The Eighth Avenue provides a cozy and trendy ambience for patrons with great menu. 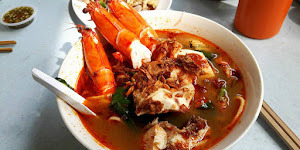 Although their food menu is non-halal, but also with many non-pork options too. 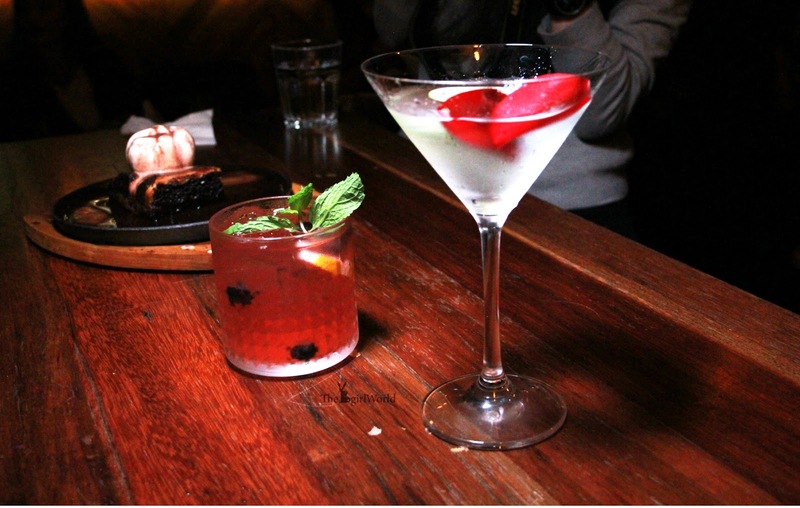 I felt great to spending my night with delicious foods and drinks at great atmosphere.